Frosaker Family History - Courtesy of Bob Frosaker -- Ole Frosaker, my grandfather, originally came to Minot with his brother Knute. They came from Gol, Hallingdal, Buskerud County, Norway with their parents Guttorm and Anne in 1883, homesteading at Walcott, ND. As young men, they moved to Fordville in Walsh County purchasing a mercantile store. 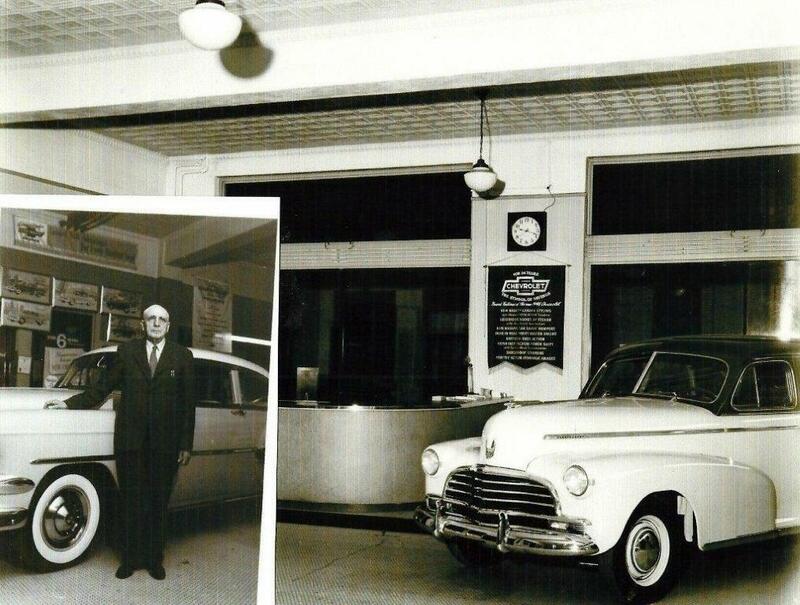 From there they moved to Bowbells, ND establishing the Frosaker Auto Garage from 1909-1919, selling Buick and Ford automobiles. In 1919 Ole and Knute came to Minot where they were associated with the Frosaker Brothers Implement Company. In 1921 they purchased the Holt Motor Company at the corner of 1st Ave & 2nd St SW, (Broadway) selling Dodge automobiles. In 1922 J.J. White became a partner and in 1923 he sold his interest to J.C. Blaisdel . That year J.J. White and Ole's brother Knute moved to Fargo establishing the Frosaker-White Company, dealers in Ford automobiles. In 1922-1924, in Minot, the Frosaker-Blaisdel Motor Company opened the first Chrysler agency handling also Studebaker and Maxwell products. Since 1925 they handled Chevrolet cars and trucks. 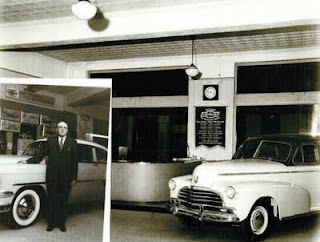 Ole also handled Oldsmobile and Packard automobiles during the 1940's and 1950's. Eventually Frosaker Motor Company handled only Chevrolet Cars and trucks until 1960. At that time the dealership became (Carmen) Johnson Chevrolet. Carmen passed away while constructing the new dealership on south Broadway. This became Auran Chevrolet until Mr. Auran (Tim) was killed in a car accident around Jamestown, ND. The dealership was then purchased by Jim Ryan, and is now Ryan Chevrolet with his daughter now as owner.